Springtime at the Gun Range . . .
As we enter the final weeks of winter, we all start to think of the many things we like to do in the springtime. Target shooting is an excellent way to enjoy the outdoors and great entertainment. We used to always consider the .22 rifle and pistol as mainstays to this type of recreational shooting. But in the last several months we have all noticed that the availability of .22 ammo is basically non-existent. This makes the smaller .22 centerfire cartridges obvious choices to consider. The .22 Hornet is probably the best known and most readily available. The Hornet is capable of very good accuracy and inexpensive to load. In most instances, using powder charges of 10-12 grains lets us get from 600 to 700 rounds from a pound of powder. If you were to look online at .22 LR ammo prices beginning at $125 per brick and up, that is a lot of entertainment for less than what you will have to pay for .22 rimfire ammo. There are other cartridges also. Like the good selection of rifles now available in the .221 Fireball A very interesting cartridge that can provide benchrest type accuracy for very minimal cost. This is not to mention that there is almost no noticeable recoil. That means everyone can participate in the fun. This .221 Fireball rifle is a Remington 700 Mountain Rifle that was a very limited distributor edition. Then we can also consider some of the wildcat cartridges for the more adventurous types. One that I have included is the 22 K-Hornet. You can actually buy the factory 22 Hornet loads and fire them in the K-Hornet chamber. This will give you the fireformed case for reloading, and the accuracy is very good when firing the 22 Hornet rounds in he K-chamber. It is an easy and interesting way to get introduced into the wildcat game. These are still very inexpensive rounds to load and enjoy. The K-hornet pictured was built on a Ruger 77/22 action. 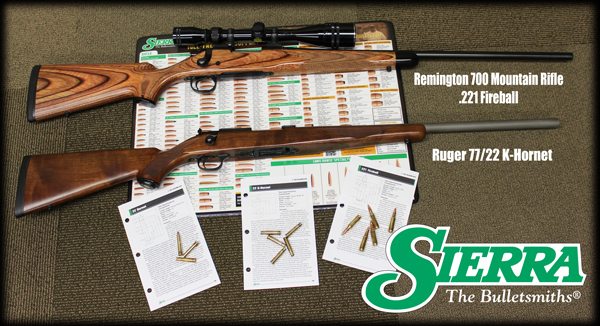 Get your ammo loaded and get ready for some fun at the range or the backyard when the snow is finally gone. This entry was posted in Reloading and tagged .22, .22 ammo, .22 caliber, .22 LR ammo, 22 hornet. Bookmark the permalink.